Lee Kuan Yew interviewed about his views on leadership by David Gergen, Dean Williams, Ron Heifetz, and John Thomas at Harvard Kennedy School 17 October 2000. This is an extraordinary interview as Lee recounts in detail the leadership challenges that he faced as the prime minister of Singapore. Dean Williams interviews Gordon Brown, former PM of the UK about his views on leadership. 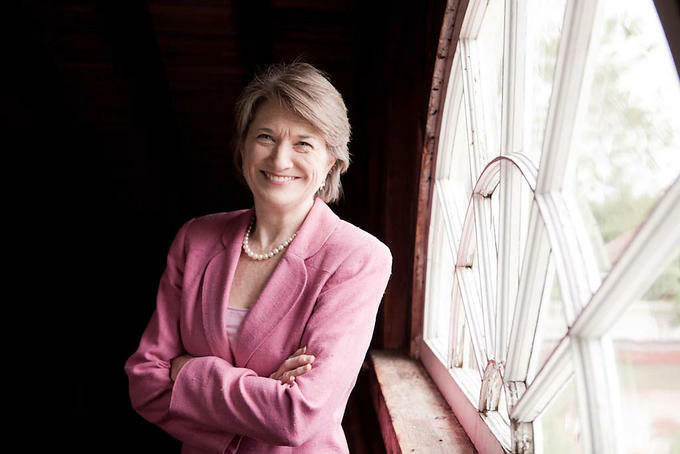 Brown focuses on exercising leadership for an interdependent world, talking specifically about the challenges of leading during the global financial crisis. Interview conducted 20 September 2010. He offers some valuable advice about crossing boundaries. Dean Williams and Ron Heifetz interview Malcolm Fraser, the former Prime Minister of Australia about leadership. 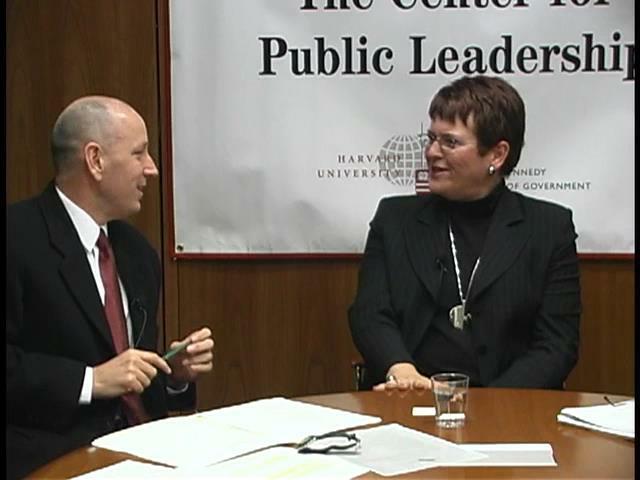 The interview was conducted at the Center for Public Leadership at the Harvard Kennedy School 6 April 2001. Fraser provides very interesting insight into how he exercised leadership to address the adaptive challenge of promoting a more multicultural Australia. He also talks about providing leadership to end apartheid in South Africa and gives his assessment of Mandela. Dean Williams and David Gergen interview Mary Robinson at the Center for Public Leadership. Robinson was the former president of Ireland and the UN High Commissioner for Human Rights. Lots of rich insights into the demands of leading on the international stage, particularly for the controversial first UN international conference on racism and xenophobia in Durban. She also talks about the challenges of pushing the boundaries and exercising leadership as a woman, in particular as president of Ireland, which was expected to be purely a ceremonial position. Interview conducted 19 September 2002. 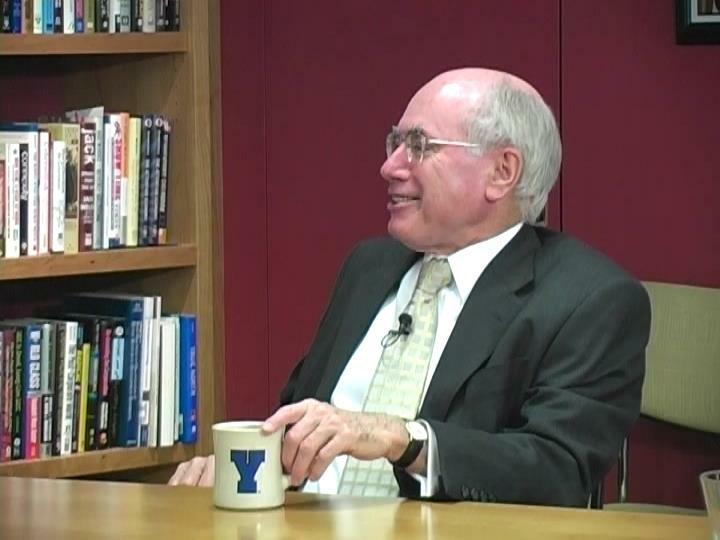 Dean Williams and Paul Porteous interview John Howard the former PM of Australia. 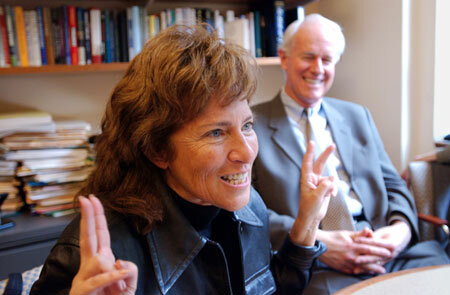 The interview was conducted at the Center for Public Leadership at Harvard on 11 March 2008. Howard talks about exercising leadership to change the gun laws in Australia, dealing with the rise of the "nationalist" Pauline Hanson, and the general challenges of political leadership. He is Australia's second longest serving prime minister. 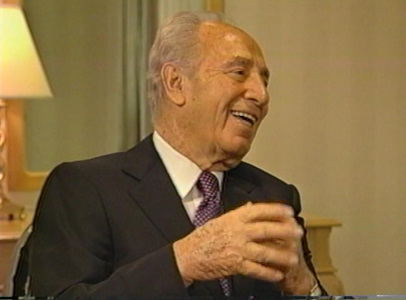 Dean Williams interviews Shimon Peres, the former president and prime minister of Israel. Peres shares his views on leadership, the lessons he learned as a young man, and also Yasir Arafat. The interview was conducted 21 October 2004 at the Harvard Center for Public Leadership. Dean Williams and David Gergen interview Jenny Shipley, the former PM of New Zealand, about the leadership challenges she faced. It is very interesting to hear her talk about exercising leadership to reform the economy and change how social welfare is perceived. She also talks about how she had to push back on Indonesia to ensure East Timor had a free and fair referendum for independence and to stop the violence. Interview conducted 21 November 2003. 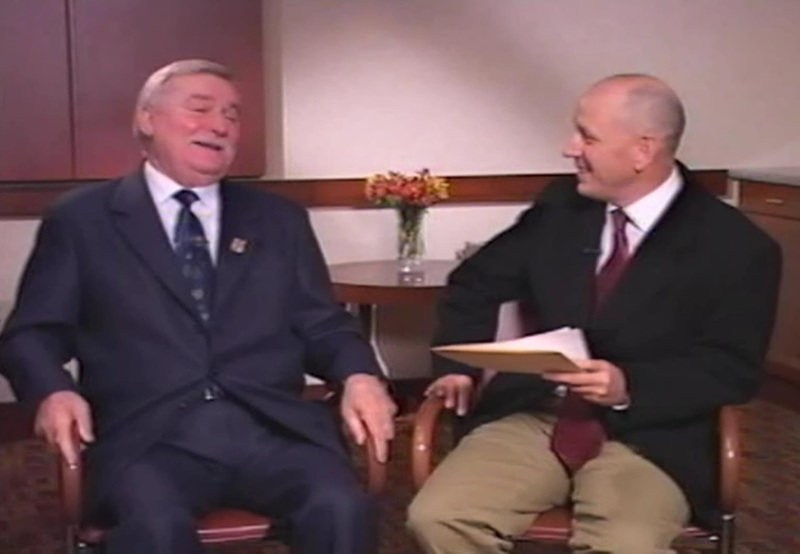 Dean Williams interviews the extraordinary Lech Walesa, the former Prime Minister of Poland. Walesa talks about his leadership challenges with Solidarity, the movement he led as an electrician that brought down the communist government and ushered in a new era for Poland. He also talks about the differences between leading a country and leading a movement. The interview was conducted at Harvard in 2003. Dean Williams interviews the former president of the Philippines, Fidel Ramos. Ramos was a key figure in the overthrow of the dictator Ferdinand Marcos in support of Cory Aquino, the remarkable woman who became president due to the "people's power" movement. Ramos became president after Aquino left office. Interview conducted 21 April 2001. Dean Williams interviews the extraordinary and dynamic Mimi Silbert, social activist and founder of Delancey House, a residential self-help organization for former convicts, drug addicts, and the down and out. Her insights into leadership and change are wonderful. The interview was conducted 30 April 2002 at the Center for Public Leadership. Dean Williams interviews Mike Farrell, one of the stars of the most popular TV shows in history, MASH. Mike is also an activist and has some interesting views on leadership and social change. Dean speaking at the Harvard Kennedy School book launch for Leadership for a Fractured World. 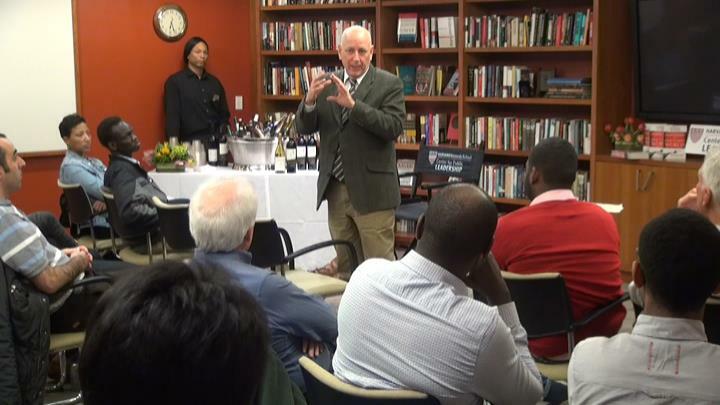 Event was held at the Center for Public Leadership April 2015. Dean speaking at Integrative Learning anniversary lunch in Singapore. 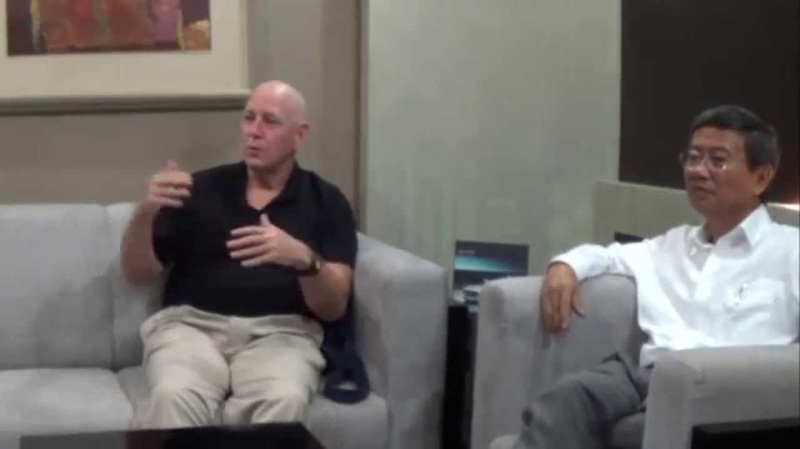 Dean being interviewed at President's University in Indonesia. Leslie Greene Bowman, President of the Thomas Jefferson Foundation, talks about Dean's book, Real Leadership. Dean Williams moderates the discussion at Harvard at the book launch of the new book on adaptive leadership by Heifetz, Linsky, and Grashow.